Perfect for sizing where openings are irregular. 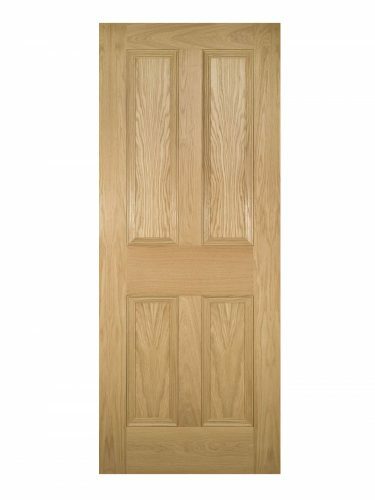 Available as a standard Door (35mm) versionl. Deanta Kingston Unfinished Oak FD30 Fire Door. 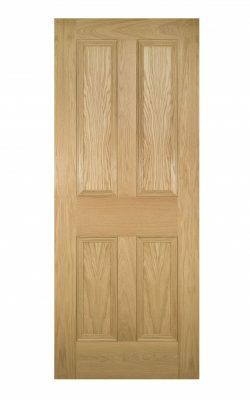 A 30 minute fire safe classically styled four panel door. Victorian/ Regency era design. Flat panels with surrounding ornate mouldings. The generous 30 mm allowance for trimming makes all Deanta fire doors ideal for where your openings are irregular sizes.. Available as a standard Door (35mm) version.